Ellabell- Vivian Akins Hodges, age 95 passed away Sunday, December 2, 2018 at Ogeechee Area Hospice. 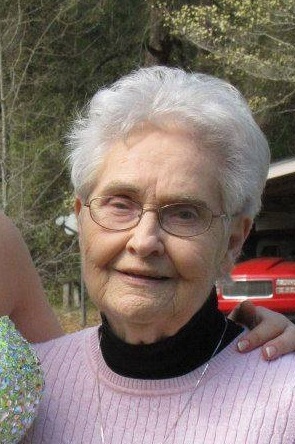 Mrs. Hodges was born in Bulloch County on January 31, 1923 to the late Louis Holland Akins and Janie Fordham Akins. She was a homemaker, a long-time member of First Baptist Church of Blitchton and was very active in her Sunday School Class. Survivors include her daughters and a son-in-law, Wanda Sue Case of Pooler and Janie Denise and Ken Buckner of Ellabell; daughter-in-law, Kathy Hodges of Colonel’s Island; 10 grandchildren; numerous great grandchildren and great great grandchildren. Visitation will be held 5-8 Tuesday, December 4, 2018 at the funeral home. Funeral service will be 2 p.m. Wednesday, December 5, 2018 in the chapel of Flanders Morrison Funeral Home with Rev. Darnell Barner officiating. Interment will follow in Red Hill Cemetery. Flanders Morrison Funeral Home and Crematory is in charge of the arrangements for Mrs. Vivian Akins Hodges.